Are you looking to increase your knowledge about Return-on- Investment (ROI) evaluations? Would you like to implement ROI evaluation in your organization or with your clients? Talent Development contributes to an organization’s bottom lines in many ways. It is up to those in the TD area to demonstrate the benefits to the organization. Whether you are new to ROI evaluation or just want to up your game, you’ll leave this interactive session with tools and a plan you can immediately implement in your organization or with your clients. Who should attend? Training Managers, Trainers, Facilitators, Instructional Designers, and anyone who would like to explore using ROI as part of their training evaluations. 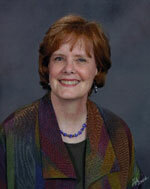 About the speaker: Kate Monaghan has been a facilitator, coach, and leader for over 20 years. She has worked with various organizations in banking, higher education, manufacturing, and service industries. She blends extensive business knowledge with superior facilitation skills to connect material with the audience for optimal transfer of learning. With an MBA from Shippensburg University and a PhD from the University of Georgia, she has developed expertise in the areas of adult learning principles, coaching, communities of practice, diversity in the workplace, management/accounting education, online teaching, as well as various areas within the talent development field. She has recently relocated to the Central Pennsylvania area to be near family. We'd like to invite you to join us just prior to the event at 5:30 pm for our New Member/Prospective Member Meet & Greet. When you check in, just let our greeter know you are interested in joining the Meet & Greet, and he or she will direct you. We hope to see you there!